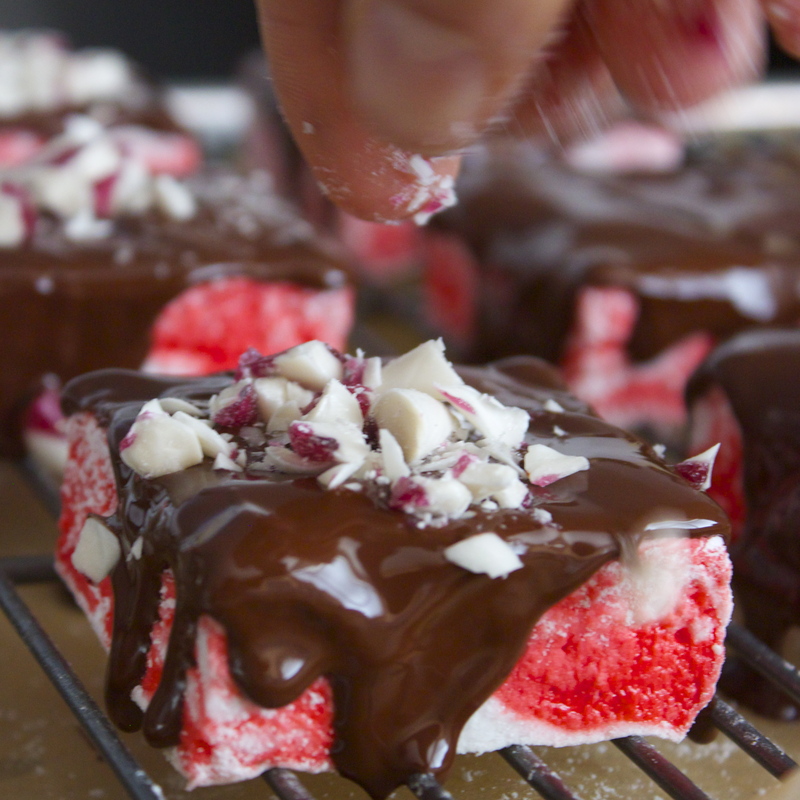 Imagine in one hand you have a homemade marshmallow, and in the other hand, a piece of peppermint bark. Now, imagine the Christmas joy you would feel simultaneously shoving both into your open-mouthed face. That is what each of these little bites are packed with—holiday joy in every square! I mean it, these are GOOD. And simple, I promise. 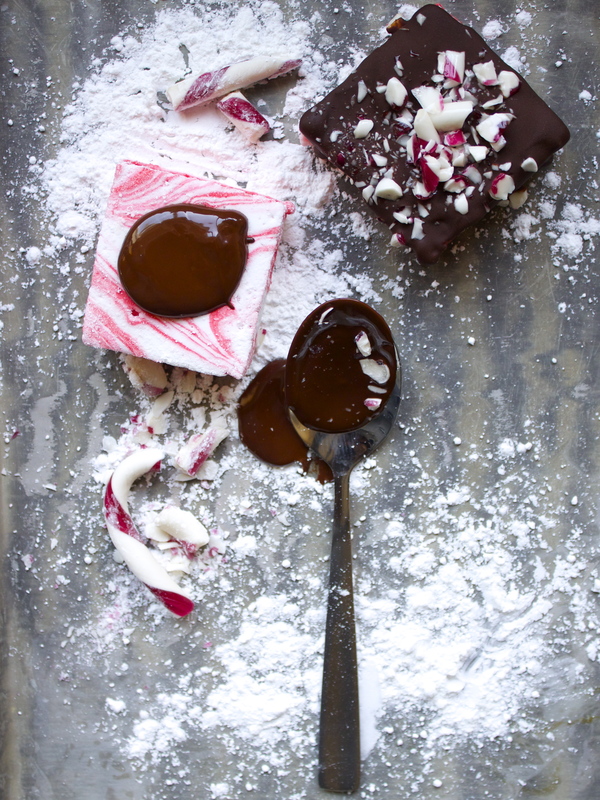 First follow the recipe for my Peppermintmallows, then follow the steps below for a few different ways to make these souped up versions. 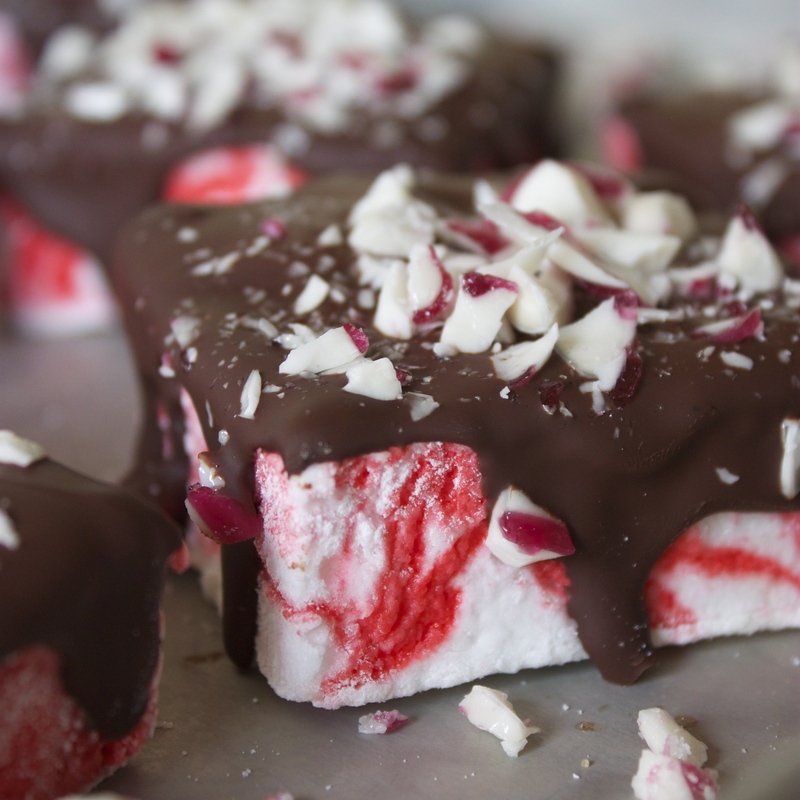 Make Peppermintmallows then place them on a cookie cooling rack with a piece of parchment paper underneath. Place candy canes in a large Ziplock bag and use a meat tenderizing mallet to crush into small pieces. Set aside. 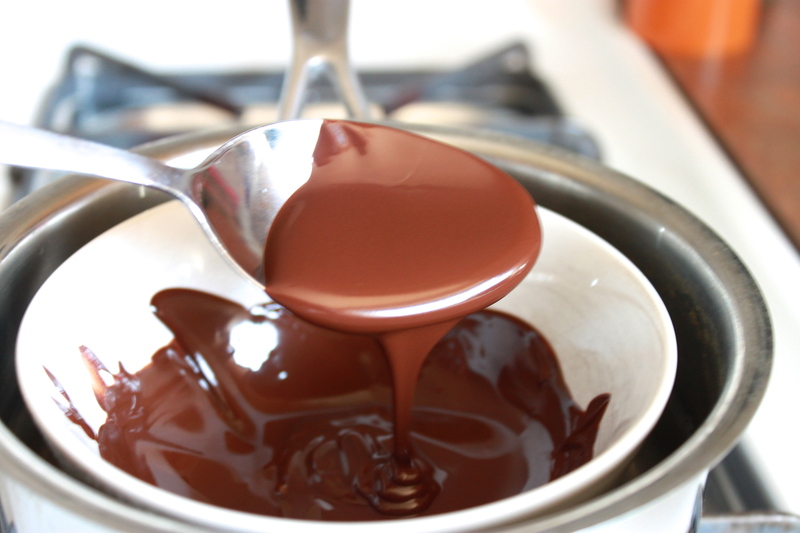 Spoon 1 to 2 tablespoons of melted chocolate on each marshmallow and use the back of a spoon to push chocolate to the edges until it drips over a little on each side. 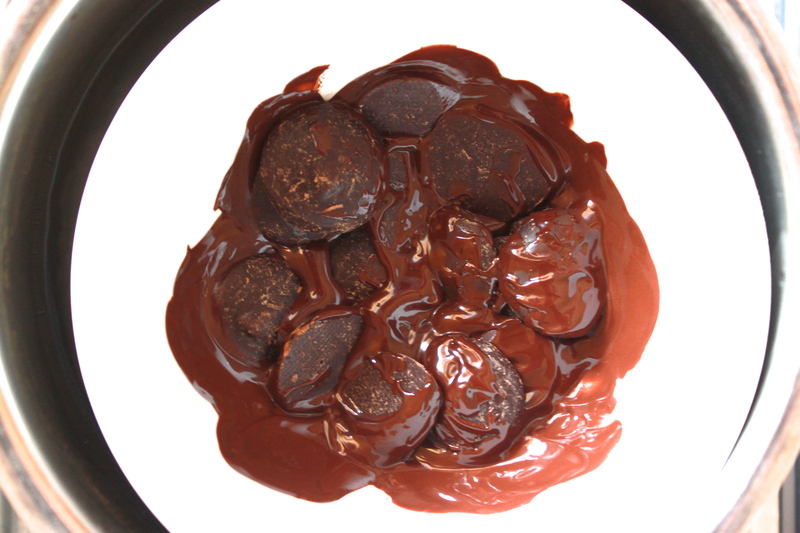 Transfer to a flat surface covered with parchment paper. 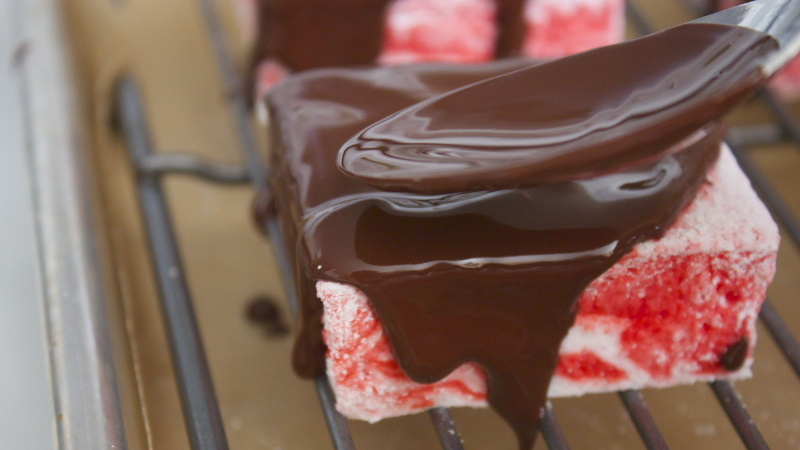 Or you can also skip the red food coloring, dip the corners in chocolate, and arrange them into candy cane stripes!